Error occurred while sending email. Try again later. Don’t think. Just fill it. Why should you get trained in Android/iOS/PHP? Why iPhone Training / iOS Training? Apple is leading the world’s technological wave. 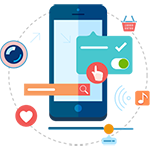 Apple’s iOS is one of the two major apps development platforms and almost every company is coming up with their apps for iPhone. So those who undergo iPhone development training can forget about ever going out of demand. Why should I undergo Android Training? Google is everywhere, and so is the Android OS by Google. Ignore Android at your own peril. Almost every other mobile app development happens in Android. 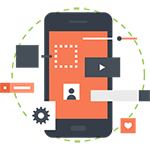 Getting Android Development Training puts you at the forefront of the demand curve of all technology companies. PHP is one of the most popular and most advanced open source languages. PHP is basically an integral chunk of the web development. The market is in constant search for the talented and skilled PHP developers. You can be the one to be picked by the big companies as their PHP developer. You just need to learn the right things from the right source. You are here to learn and we are here to teach. 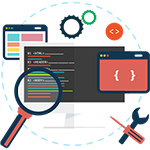 Developers Academy provides the best PHP project training by making you best in the field of web development. By the time you are done with your training you will be an expert with the CodeIgniter and core PHP framework. Why Developer’s Academy? Why not? Get trained by the best in town, and be the best you can. Our students tell you why you should join us. Internship has helped to grow both personally and professionally. The depth of knowledge provided was excellent. And also professional etiquette and also professional environment. The experience at the company was great. Special thanks to our Project Guide for providing guidance. All Senior was very supportive and used to give prompt response for all the queries. Its really a good company to start your corporate career. After doing a project in this company my programming skills are greatly improved. The company always welcomes innovative ideas which allowed me think out of the box. I got to work on a real time project. The experience helped a lot in terms of industry etiquettes. I gained huge amount of knowledge about php and error solving. It helped to improve my logics also. I would definitely recommend my friends to get project training in this company. It’s an investment, not just a training. Press the button below, and secure an exciting future for yourself.